The first successful resection of the thoracic oesophagus without re-establishing gastrointestinal continuity was performed in 1913 by Franz Torek. The patient continued to eat after surgery by placing a rubber tube between her cervical oesophagostomy and gastrostomy and lived for 13 years. 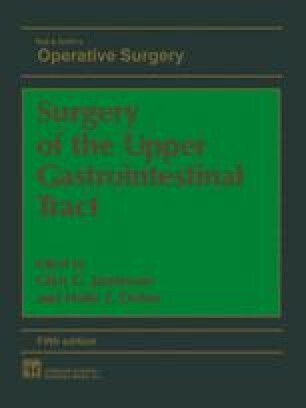 The first surgeon to establish normal alimentation after oesophagectomy was Oshawa who, in 1933, performed oesophageal resection followed by oesophagogastrostomy in eight patients. Five years later Adams and Phemister reported their results with one-stage resection and intrathoracic oesophagogastrostomy.